Here are some general tips for keeping your rose plants looking good. Choose wisely. If you know your area is prone to a certain pest or disease, seek out a rose that is resistant. If you have cold winters, pick a rose that is hardy. Keep them healthy by fertilizing appropriately and watering properly. 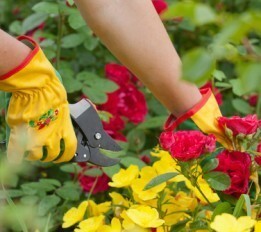 Keep them well pruned and uncrowded to allow ample air circulation. Patrol the plants often and spring into action if you spot a problem. Spray preventatively.